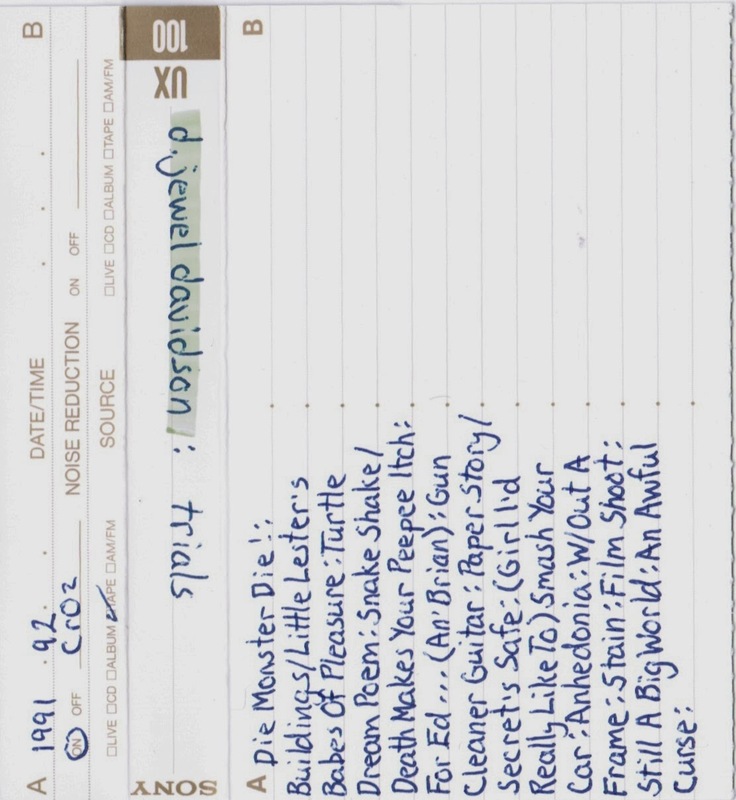 Here's another DJewel tape, courtesy of Joe McCaffery. This one's a bit weird - in a good way. This is a collection of spoken word pieces that DJewel did in the early 90s. DJewel has thrown together a sort of audio collage - some tracks are just his voice, others have what sounds like live recordings of a DJewel-fronted band in one channel. What this highlights for us is DJewel's skill with words. We understand that Kris Demeanor's stint as Calgary's poet laureate is coming to an end soon - we would like to take this opportunity to nominate DJewel as the next person for that post. Although, dammit, we literally just missed the nomination deadline. Ah, well. You can enjoy these trials instead.